The Magic Mushroom from Pet Safe can be Tipped, flipped or rolled, each time dispensing kibble randomly! 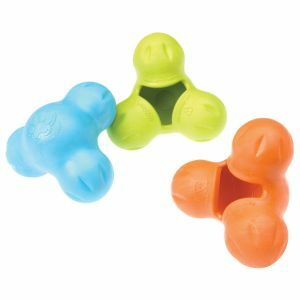 The Busy Buddy Magic Mushroom keeps dogs engaged as they work for their food. 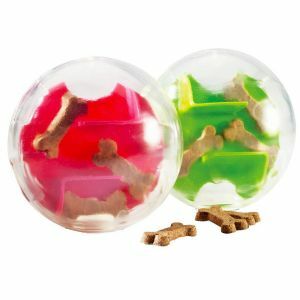 Use as a tool to assist with weight management efforts or as a fun way to reward and challenge your dog at the same time. 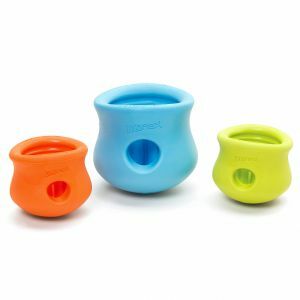 It’s the perfect way to turn mealtime into playtime! Perfect for Dogs Over 20lbs. More Information: To use, twist off the mushroom base to load with kibble or treats. Replace the base and twist off the mushroom cap to adjust the customizable treat windows. Replace the cap and let the fun begin! Over time, as your dog gets accustomed to the Magic Mushroom™, you can close the treat windows more tightly to increase the challenge. Medium & Large designed for Dogs Over 20lbs.